The story of Iowa Select is a fascinating one that holds a tremendous amount of history and success. Before Iowa Select, it was Stars & Spikes. Stars & Spikes Volleyball Club (S&S), started back in January of 1996 as a small local school-based club program servicing Central DeWitt Community School District under the leadership of Greg Weller. The very first year, we had only one 13s team and one 14s team. By January of 2002, S&S had a total of 17 local school-based teams involving seven different surrounding school districts. 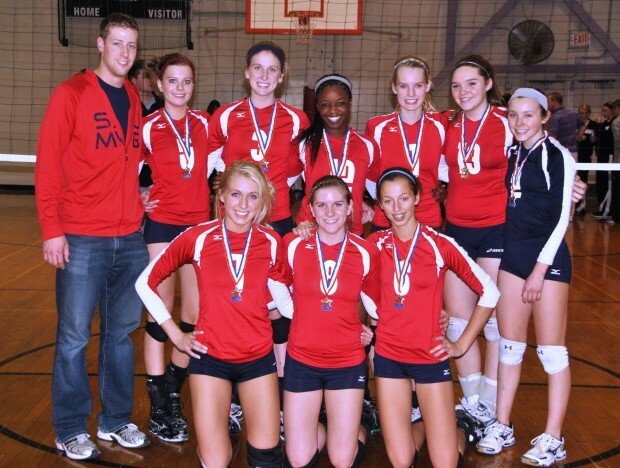 S&S took a huge step in January of 2008 and became a National Qualifying program, selecting some of the best volleyball players in the Quad-Cities area, eastern Iowa, and western Illinois. In 2008 Kyle was beginning his freshmen season at St. Ambrose University. Kyle also starting getting his feet wet into the coaching world coaching as an assistant at Assumption High School. Frank was just starting his freshmen year at Serra High School (Gardena, CA) where he would just start playing volleyball competitively for the first season. In 2010, after only their third elite season, the S&S qualified their first team (15s) for the Girls' Junior National Championships in Reno and finished 38th. In 2011, the S&S 16s team qualified for the GJNC in Atlanta and finished 25th. In 2010, Kyle entered his Junior season at St. Ambrose while also coaching his first season at Assumption High School. Kyle’s SAU team that year went 26-7 falling short in the national semifinals. Frank was just getting ready to start his Senior season and participating in his 3rd club season with Beach Cities Volleyball Club, the only club he played for throughout his club career. In 2012, S&S sent two teams to the GJNC in Columbus. The S&S 17s team finished 27th and the S&S 16s team finished 3rd. Kyle was the Head Coach of the 16’s S&S team and was beginning his first year as the Head Coach of Assumption High School. Frank had just finished his Sophomore season at El Camino Junior College where he led the state in assists and finished 3rd in total digs (1st among all setters). He soon accepted an Athletic/Academic scholarship to attend St. Ambrose University under the leadership of Bill Gleeson. Little did he know that the Quad Cities would be where he would meet Kyle Condon. In 2013, the S&S 17s team qualified for the GJNC in Dallas, finishing 13th. Kyle had just coached his Assumption team as a Head Coach to the Iowa Girls State Tournament (the first year Assumption qualified for the state tournament). Frank had just finished his first season with the St. Ambrose Men’s Team where they finished 21-10 and just missed the national tournament. Frank subbed coached for Kyle’s Assumption feeder school team that spring and connected for the first time in the QC volleyball scene. And finally in 2014, the S&S qualified two teams for the GJNC in Minneapolis. Kyle was entering what would be his last season with the Assumption VB program. Frank accepted a position on Kyle’s Staff as the freshmen coach and varsity assistant. Frank declined a coaching position with S&S after working closely with Kyle during the high schools season. Frank made a difficult decision to red-shirt his senior season to intern as a club director for Knights Volleyball Club (Assumption High School feeder program) in an effort to revamp the program. S&S started in Indiana in January of 2015 (when Greg Weller relocated to Indiana) as a small local middle school club program serving four area school districts. Currently, it is only fielding teams at the 12s, 13s, and 14s level because of Indiana High School Athletic Association contact rules. In 2015, Kyle was persistent in bringing in Frank into the elite club world, Frank became extremely interested but also was balancing his senior season academics and athletics. Greg was moving out of the QC and was handing the club over to Kyle and after a meeting between Kyle and Frank they decided to re-brand the club into Iowa Select Volleyball Club. In the first year of Iowa Select, we fielded 7 teams, rented court space in Eldridge, IA and began what has been an incredible journey. Frank finished his last season at St. Ambrose, losing in the national semifinals to Grand View and Kyle was now fully involved in only club. As we approach year 4, both Kyle and Frank still run the club as Co-Directors and look forward to continuing to develop our area’s volleyball players! 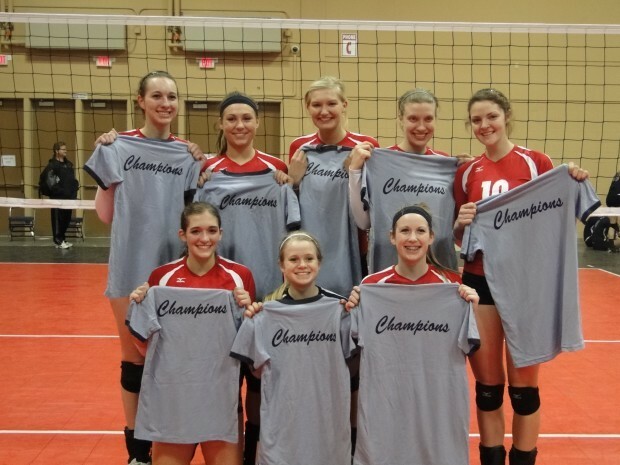 The Stars and Spikes Volleyball Club won first place in the U17 division at the Sports Performance Presidents Day Challenge the weekend of Feb. 18-20 in Schaumburg, Ill. Team members include front row, from left: Erin Mead, Lexi Flynn, Devon O’Connell. Back row, from left: Angela Wagner, Hannah Nimrick, Alyssa Wing, Megan Paustian and Claire Opar. Alyssa Wing was named the tournament’s most valuable player, and Lexi Flynn and Angela Wagner were named to the all-tournament team. The Stars and Spikes 16U team earned a bid to the Girls Junior National Championship in Columbus, Ohio, by finishing in the top three at the Iowa Regional Championships the weekend of March 17-18. They also finished first in five local tournaments, second out of 48 at the Sports Performance Presidents Day Challenge in Chicago and second out of 64 at the Mid East Qualifier in Indianapolis. Team members include, from left, front row: Caitlin Wernentin, Bettendorf High School; Aubree Taylor, Maquoketa High School; Hannah Matt, Bettendorf High School. Back row: coach Kyle Condon; Allison Vandemore, Maquoketa High School; Elizabeth Culliton, Bettendorf High School; Monique Harris, Clinton High School; Sydney Strawser, Pleasant Valley High School; Izzy Blick, Davenport North High School; and Morgan Waterman, Pleasant Valley High School.